Homemade cream cheese, soft, creamy and delicious. Have you ever wondered how to make cream cheese? I did too and you won’t believe how easy it is! There’s nothing quite like it. Not only does it taste divine but it can be used in so many different ways from simply spread on crusty bread to making cheesecakes and desserts. This is just one of the recipes included in my Simple Cheesemaking ebook. Follow the link to find more wonderful homemade cheese recipes with easy to follow instructions and much more! When we got our first family milk cow, Buttercup, I tried making many different types of cheese, after all, we were suddenly getting about 6 gallons of milk a day! Yes, we have a large family but even the 7 children still at home could not drink that much milk! Thankfully, I knew before we brought Buttercup home the quantity of milk she was producing. But, “knowing” and “seeing” are two different things! 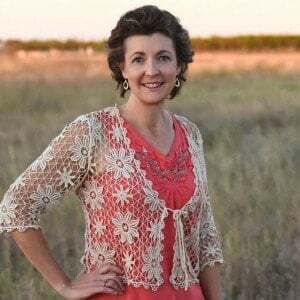 Seeing 6 gallons of milk put into the refrigerator each day was exciting but also anxiety producing! We had purchased Buttercup to save money – even buying her feed and hay, I saved money with the dairy products I made, not to mention we were getting much better quality! If milk went bad and had to be thrown out, there went my savings! So, knowing that I would be making cheese, I purchased from my affiliate partner, Home Cheese Making several weeks before bringing our new cow home. I decided to work through the book beginning with the soft cheeses since they require less time, don’t have to age and can be eaten immediately. 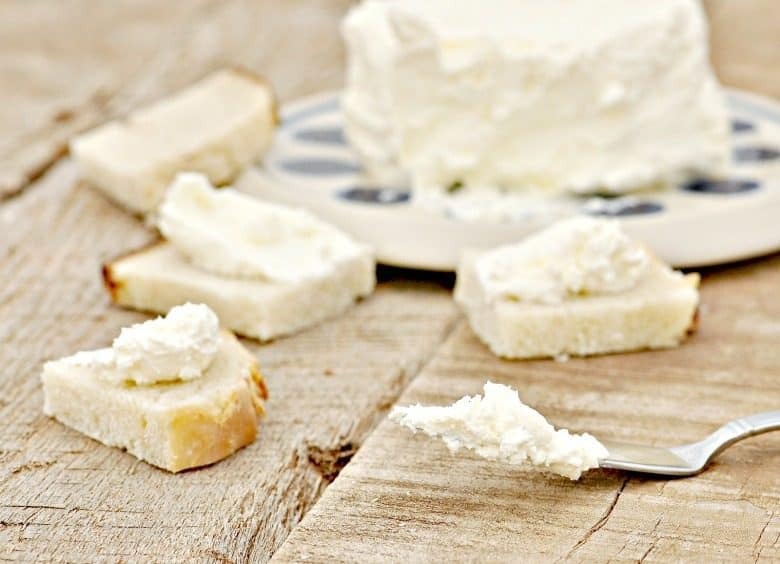 Among some of the soft cheese made were Cottage Cheese, Feta Cheese and Ricotta Cheese. I then began to wonder how to make Cream Cheese and like the others, I found it to be super easy. The following recipe is also the recipe for marscapone which is very similar to cream cheese but, for me, this recipe yields better and more consistently. More about marscapone in a moment. What Is Homemade Cream Cheese Made With? As the name implies, cream cheese is made with cream, not milk. So, it didn’t really help use up milk but, it was neat that I could make our own with so little effort. Why did I learn how to make cream cheese? Besides just working my way through cheese recipes, I needed some for a recipe. It is our family tradition on birthdays, that the birthday person chooses the menu for the party. When our son, who was turning 11 years old, picked a dish containing cream cheese, I decided it was time to learn how to make cream cheese! 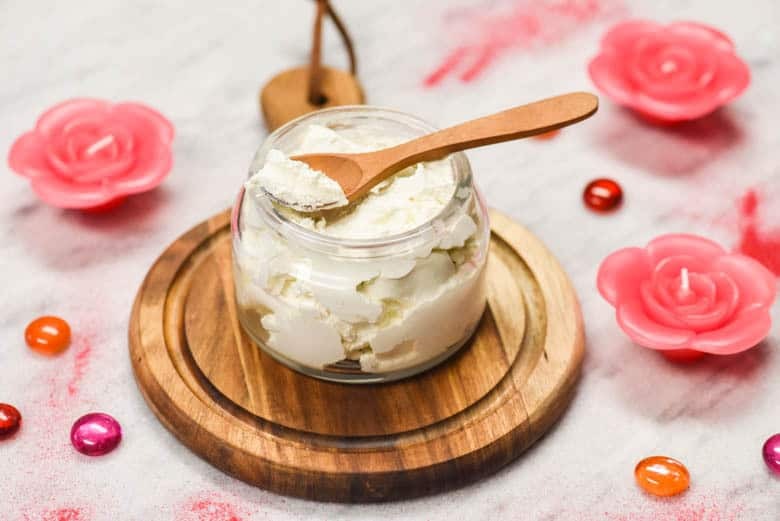 Homemade Cream Cheese can be allowed to drain for a longer period of time to achieve a dryer texture or not so long to be creamier. Cream Cheese can also be substituted for marscapone which is used in one of my favorite Italian desserts, Tiramisu. I can tell almost no difference between cream cheese and marscapone although, some say that marscapone tends to be a bit sweeter. I used marcapone when we lived in Switzerland for Tiramisu and other desserts but had trouble finding it once we moved back to the States. So, I substituted cream cheese successfully! As I said earlier, this recipe is the same for marscapone found in many books. For me, it consistently yields better with more consistent results than other cream cheese recipes. Plus, it even works with ultra-pasteurized cream – I know because I accidentally purchased it once and tried it anyway! 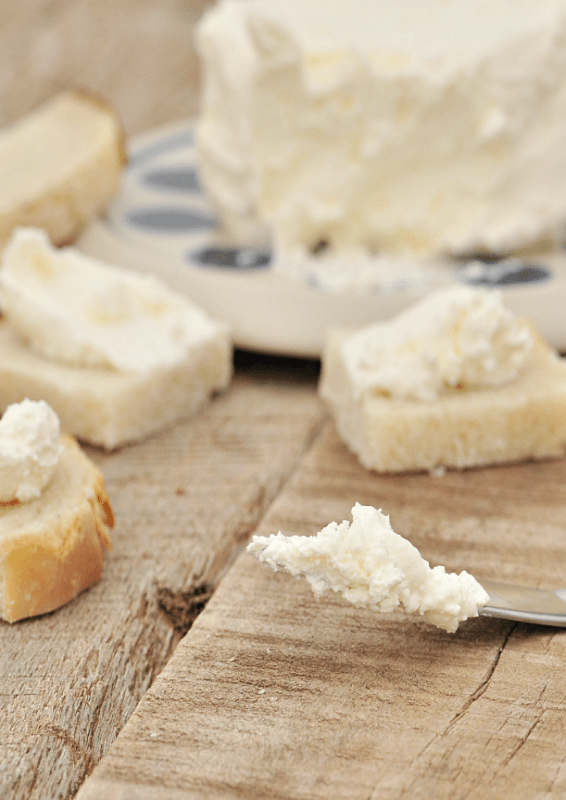 Be sure to read Cheese Making Basics for further tips, equipment and suppliers. 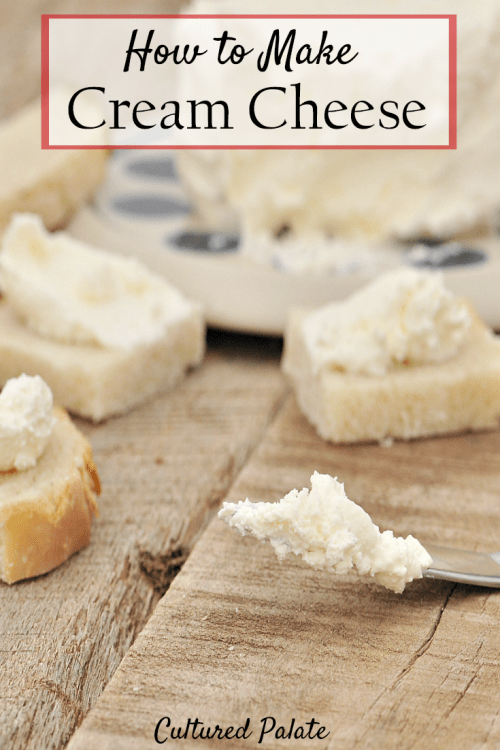 If you’ve tried this Homemade Cream Cheese from How to Make Cream Cheese or any other recipe on Cultured Palate please take a minute to rate the recipe and leave a comment letting me know how you liked it. I love hearing from you! You can also FOLLOW ME on PINTEREST, FACEBOOK, INSTAGRAM, YouTube and TWITTER. Heat the cream to 86 F and turn off the heat. Add starter culture and mix thoroughly. Cover and allow to sit for 12 hours at room temperature. For a thicker consistency, line a colander with cheesecloth and place curds into colander. Allow to drain for several hours in the refrigerator until the desired consistency is reached. This will keep for about a month. Cream cheese can be substituted for mascarpone in many recipes including desserts. How do I use raw cream cheese in recipes that call for Philadelphia cream cheese from the store? Alexis, use the same amount of raw cream cheese as your recipe calls for. Aren’t there any other options for the starter besides the one you have mentioned? Its not available where i live. Sorry, Farah, I don’t know of any. I’m loving all your cheese recipes, I’ve only tried making ricotta cheese before so I’m going to try making cream cheese because I love it and use it a lot! Good luck, Emily! I hope you enjoy it as much as we do!